Being a Time Lord really isn't quite as difficult as it used to be. 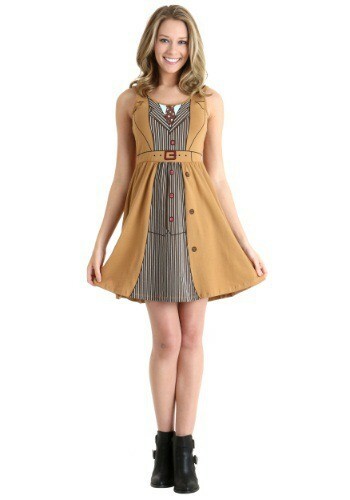 This Doctor Who David Tennant Dress lets any girl take on the role of the BBC time traveler. There's something about the number 10. Maybe it's the fact that tons of cool stuff happen around the number. Pearl Jam made a pretty cool album with that name. When you knock down all ten pins in bowling it's called a strike and of course, the Tenth Doctor was the best Doctor Who ever. With this dress, you can be a 10, just like David Tennant from the show.